I finished this project yesterday evening tried it on and it fits beautifully. Washed it an dried it flat, not much, ok, any blocking done really. It didn’t shrink or grow hurrah! Maybe my mojo has returned. Ravelry link Sorry for the mirror shot but I had no other option, at least I took my mirror outside to get some natural light because the light inside my house is shocking today due to the lovely rain we’re having, also I did well getting 10 minutes when it wasn’t raining. I can honestly say that there is nothing that I don’t love about this project, the yarn is just everything I love about a yarn, woolly, textured, beautiful colour. Due to being woollen spun the stitch definition is slightly fuzzy but the cables still pop. 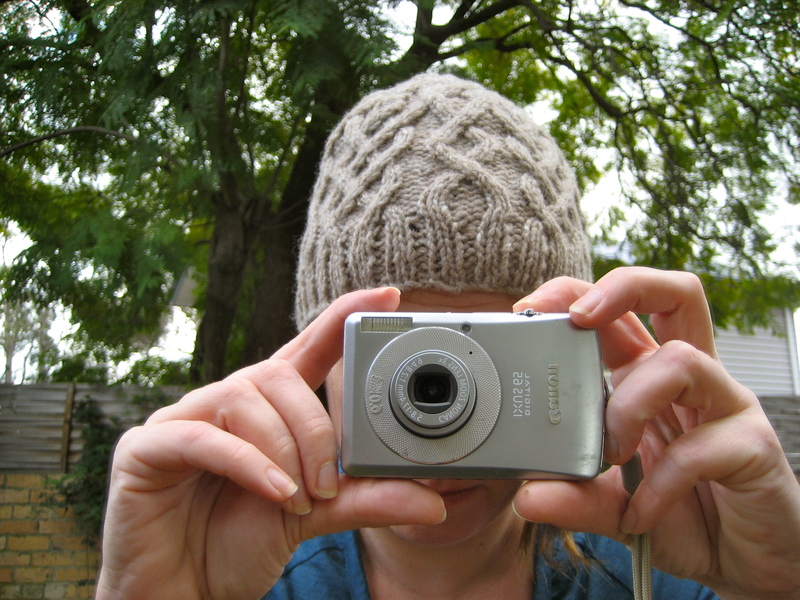 The pattern is intuitive and well written, the cables are just gorgeous and it fits and flatters too! What’s not to love? It was also a speedy knit, extra bonus points! With this in mind I will be buying more Shelter to knit up the other Jared Flood and Wool People patterns in my queue. Talking of Wool People, I think it’s an absolutely perfect name for the look book, also there is a cabled beanie in there called St. Leger. You may recall in my Yorkshire day post I wrote about the St. Leger races, ah ha! Well I shall be off to start my new project. The yarn itself is exquisite, woollen spun from Targhee breed of sheep, where am I going to purchase Targhee fibre in Australia? 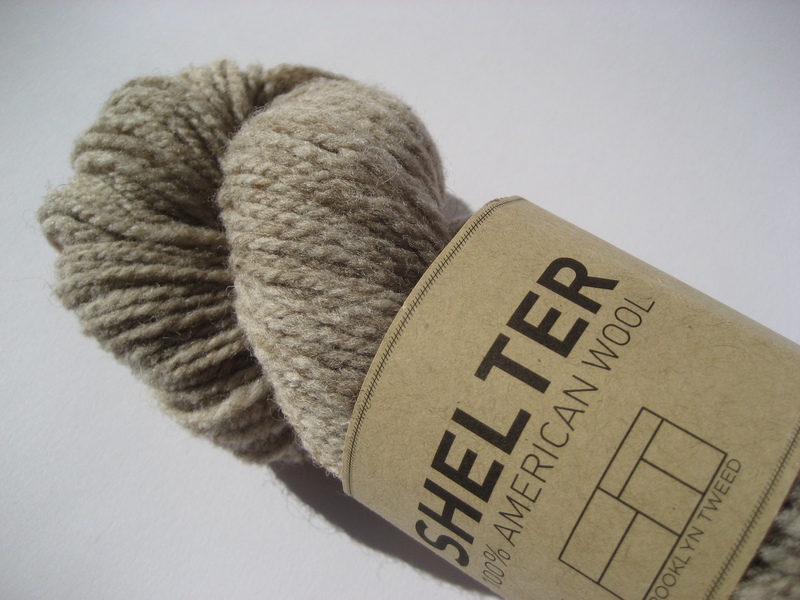 Because it’s woollen spun and not overly processed it is light and squishy and will be beautifully warm and there appears to be some degree of varying thickness and twist in the ply that I personally feel, gives the yarn some interest. This is in contrast to those rather homogenised mass produced yarns that I have in my stash such as Sublime and Zarina that I’ve lost the love for since I started spinning, they seem to vaguely resemble wool in the way that Kraft cheese slices vaguely resemble cheese (no offence and I intend to knit with these yarns still, it just won’t afford me the same delight). Also the tweedy colours are just delicious and have such warm and inviting names like, homemade jam and button jar which are my particular favourites. As for spinning the yarn myself, I feel my spinning and dyeing skills which, though they have improved would not be nearly good enough to produce enough yarn for all these patterns and I’m not going to never purchase yarn now that I can spin if the yarn is this beautiful. Lastly, Jared Flood is an independent designer who has put his money where his mouth is and gone out to produce yarn that he feels a passion for and I have to admire that (and feel a little bit envious). As for the obsession with shawls and wraps, well, they are perfect for Melbourne’s varying weather and so much easier to wear than a jumper or a cardigan. The patterns themselves appear to be both uncomplicated but interesting and well designed. The Seraphine wrap from the Wool People look book is actually designed by Lucy Sweetland and I surprised myself by being determined to knit this despite it being knit in pieces and sewn together which is usually an immediate turn off. I can see that this is a necessary aspect of the design so I’m willing to cast aside my usual prejudices, plus I have to have it in my wardrobe! Because I’m not a complete idiot who goes out and purchases a vast amount of yarn before she has ever tried it, no, really, I’m not! I’m planning to cast on for the Habitat hat by Brooklyn Tweed next, out of the skein pictured above to see how it knits up. He he, I’m knitting Habitat out of Shelter, which makes me giggle a bit, well you know even non-idiots can be a bit silly.